Bristol, UK; June 25, 2018: Chorley-based Poppy Signs has been converted to Drytac’s Protac Anti-Scratch laminate, following its installation at the offices of theidol.com, a web-based insurance provider based in Penrith, Cumbria. Available in 75µ and 100µ coat weights and a crystal-clear gloss finish or a non-glare matte finish, Drytac’s Protac Anti-Scratch has a non-marking, anti-scratch surface to prevent damage and blemishes, whilst at the same time offering UV protection when used for outdoor applications. 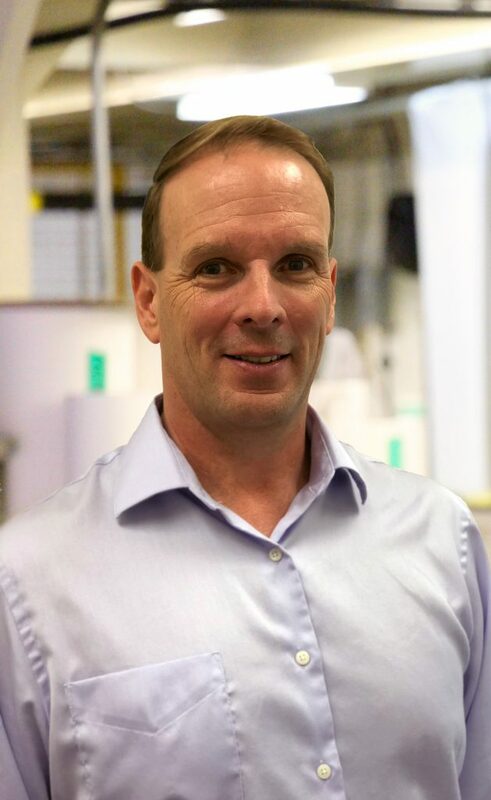 Toronto, Canada; June 18, 2018: Drytac, an international manufacturer of self-adhesive materials for the print, label and industrial markets, has announced the appointment of D’Arcy Lewis to the role of Technical Sales Manager for the company’s industrial division. D’Arcy will be responsible for increasing Drytac’s custom and contract adhesive coating business in the packaging, construction, medical, automotive, label, and industrial markets throughout North America. D’Arcy joins Drytac with over 18 years of experience from Advanced Polymers International, where he most recently served as the General Manager. He holds a bachelor’s degree from Columbia College with a double major in business and history. 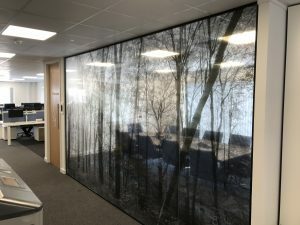 To learn more about Drytac’s custom solutions, please visit www.drytac.com or email D’Arcy Lewis at darcylewis@drytac.com. You may also directly connect with him on LinkedIn. Courageous heARTS is a non-profit organization in the USA with a vision to offer a safe space for young people to co-create art, build community and develop into leaders. 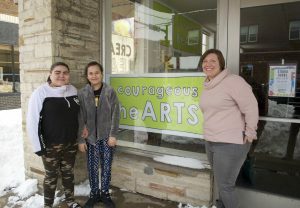 Founded by Lindsay Walz in 2013 – after surviving the devastating 2007 35W Bridge collapse and finding art therapy in her own journey to healing – Courageous HeARTS’ vision is to provide a safe space for young people to express themselves through art. 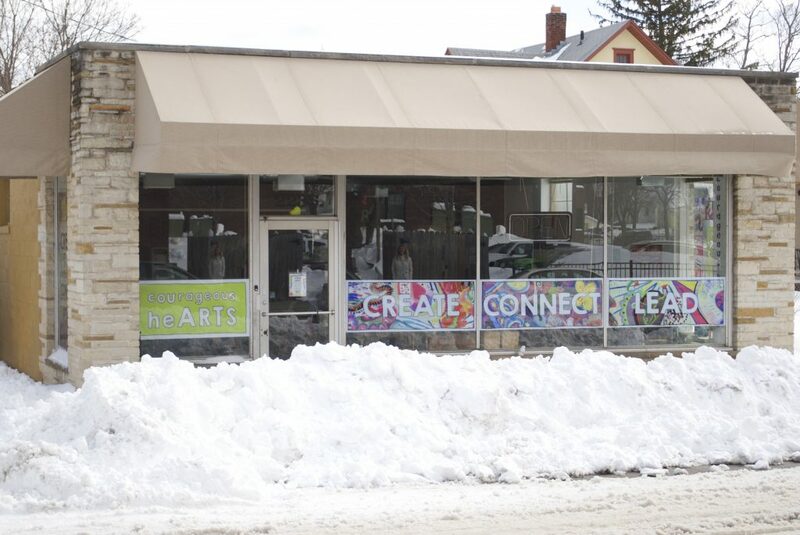 In March 2018, Drytac reseller Standard Dynamics and local print business Image360 teamed up to sponsor a storefront makeover to highlight the Courageous heARTS charitable cause and its mission to ‘Create, Connect, Lead’. 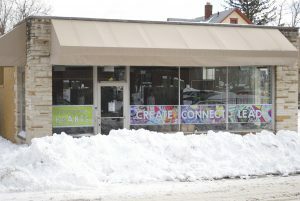 The formerly anonymous storefront space has now been transformed with dazzling, bright graphics. Courageous heARTS founder, Lindsay Walz, is ‘thrilled’ with the new window front. 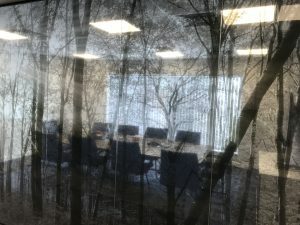 She comments: “We have already experienced a surge in foot traffic since the new signs went up and the name recognition we have developed within the community is now connected to our physical space.